High up in space, a comet approaches Earth. A white woman appears to be standing on the comet and announces that she will freeze the Earth and make it her own. She then sends a burst of energy towards the planet. In Tokyo, a scientist called, Kakeru sees the energy land nearby and drives to it's location. As he gets out of his car he sees that it's actually a strange looking crystal! The next day, Serena, Amy, Raye, Mina, Lita, Rini, Luna P, Luna and Artemis are all hanging out downtown and doing some shopping. Lune tells everyone that she's feeling sick and that she needs to go home. Artemis offers to walk with her but she refuses his offer and tells him he worries too much. As Luna's walking home by herself the fever gets too much for her and she collapses in the middle of the road. Luckily Kakeru sees her and saves her from being hit by a car just in time. The next day, Luna wakes up in the man's house and is surprised to see that he has slept by her side all night to make sure she was okay. Kakeru soon wakes up and gives Luna some food and some snow flake candy as a treat. While Luna's eating, Kakeru's girlfriend, Himeko drops by and asks if he had heard of her trip to the Moon that she'll be going on soon. He tells her he had and then excitedly explains about the comet he saw the other night and the crystal he had found. Suddenly the crystal begins to glow and Kakeru feels weak. Luna sees this and begins to worry. Kakeru and Himeko then have a fight about how Kakeru should stop believing in crazy things such as kingdoms on the Moon and focus on real science as she knows he's a smart man. Himeko leaves. In space the mysterious comet with the white lady arrives in Earth's orbit. The woman releases an army of white snow dancers and commands them to begin freezing the planet. In Tokyo Amy, Lita, Raye and Mina see the snow dancers freezing everyone and everything around them and transform. Amara, Michelle and Trista who were relaxing in a nearby cafe also see the snow dancers and transform as well. Together they all manage to defeat them. Elsewhere, Serena and Rini are being chased by a snow dancer. 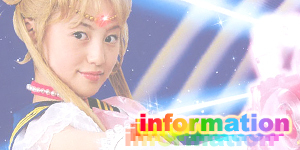 They trick her by pointing in a different direction and transform into Sailor Moon and Sailor Mini Moon. Eventually Sailor Moon defeats the dancer with her Moon Spiral Heart Attack. The white woman talks with the surviving snow dancers and asks if they found the crystal that she sent to Earth. They tell her they haven't. The woman remembers how she made her way to this solar system many years ago but a bright light sent her away. This makes her more determined than ever to freeze this planet. In the city streets, Luna reunites with the girls. Later that day the girls meet at Raye's temple. They begin to talk about Luna and how she's been going off on her self alot recently. That night Luna sees Serena and Darien sharing a romantic moment and begins to wonder about these new feelings she's having for _____. Later on as Serena's getting ready for bed she asks her what kissing is like. Serena tells her that it's amazing and it feels like you're melting. The next day, Luna goes to visit Kakeru who has become very sick. His girlfriend Himeko sees her though and closes the door. Over the next few days, Luna continues to visit him though eventually becomes aware that Kakeru loves Himeko and that she can never be his. On the day of the shuttle launch though Himeko tells Kakeru that she wants to move in with him when she returns but Kakeru becomes angry and says that their relationship will never work because their beliefs are too different. Himeko leaves in tears. Luna watches as Kakeru also begins to cry. Luna turns to leave and sees Serena who had followed her. Luna tells her that she now knows what love is and wishes that she never knew. The two hug but they're soon interrupted by a snow dancer who peers in Kakeru's window. The white lady then appears in Kakeru's room and picks up the crystal. She says that it had gained energy by draining his life force and then tells him that she will freeze the entire planet. She then disappears. Luna and Serena then watch through the window as Kakeru becomes more ill. Luna tells Serena that if he saw his Moon Princess, Princess Kaguya which he had believed in since he was a boy, he may gather the strength to break the crystal's bond on him. 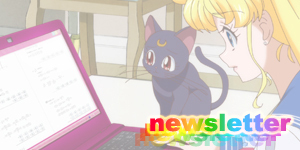 Luna and Serena run to talk to Himeko and talk her out of the going into space as it's not safe. Himeko doesn't believe Serena's story and goes anyway. Elsewhere the white woman throws the crystal into the ocean and freezes the entire planet. Sailor Uranus, Neptune and Pluto confront her and attack her snow dancers with Uranus World Shaking, Neptune Deep Submerge and Pluto Deadly Scream but there are just too many of them. The Inners arrive and join them but they're all soon knocked down by the Snow Dancers. 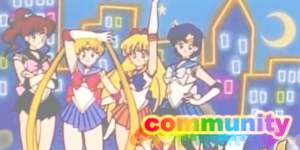 Sailor Moon eventually joins up with them and asks the white woman to stop what she's doing. 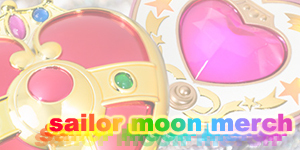 She refuses leaving Sailor Moon no choice but to power up to Super Sailor Moon and attack with Rainbow Moon Heart Ache which unfortunately is easily deflected! 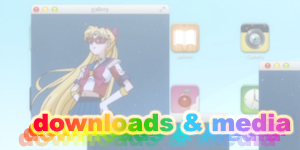 Sailor Moon then reveals the Imperium Silver Crystal and begins to power it up. They all scream for her to stop but Sailor Mercury says that if they combine their powers they can protect Sailor Moon from the effects of using the crystal. 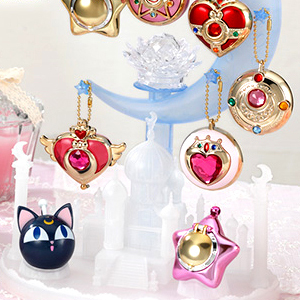 They all hold hands with Super Sailor Moon in the centre and summon the power of the crystal. They all begin to glow and fire a massive white beam of energy at the white woman. She fires a blast back but it's no use. She and her Snow Dancers and her comet are all annihilated. Still feeling the powers of the crystal, Super Sailor Moon gives Luna who is by Kakeru's side the power to transform into a human. She does so and takes Kakeru into outer space so he can experience it's magic. As luck would have it Himeko sees Luna as she's flying across the Moon's surface and assumes that she's the Moon Princess. Kakeru sees Luna's yellow ribbon that he had given her and her crescent moon symbol and realises that she's Luna. Luna kisses him and returns him to Earth. As Himeko arrives back in Tokyo, the press crowds her and asks what she saw in space. She says that she saw the Moon Princess Kaguya but they all laugh at her. Himeko then spots Kakeru who's waiting for her with a bunch of flowers and runs to him. They embrace. Luna, looking on from above, drops a bag of starflake candy into Himeko's hands. Kakeru sees this and realises that Luna has given them her blessing. As Luna walks away she sees Artemis. She asks what he's doing here but he simply replies that she's his soul mate and that he'll always be near her. Luna walks up to him and they stand together in love. Serena and Darien look on. This movie gave us our first and last look at Luna in her human form. While it can be easy to think that the Silver Crystal disguised her as the mythical Princess Kaguya it in fact boosted her energy level high enough for her to transform into her second form. Later on in the manga Artemis also transforms into his human form once he gains enough power and even their daughter Diana gains the ability though due to her inexperience, still keeps her tail. Sailor Tin Nyanko is another example. 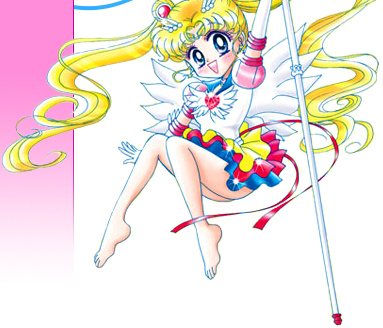 As with the other two Sailor Moon movies, this one featured two English versions; An "Edited Version" that had the English voices and a combination of the DiC and Japanese music cues and an "Uncut Version" that featured the same English voices from the "Edited Version" but kept all of the original Japanese music from the Japanese version. Unfortunately the "Edited Version" is only available on VHS while the DVD contains the English "Uncut Version" and the original Japanese Version (English subtitles optional). A "Dream Boxed Set" was also released that contained all three Sailor Moon movie DVDs though the DVDs in the box were the same as the ones sold individually. 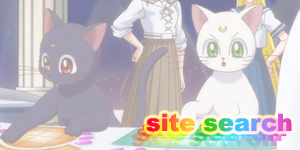 In some shots of the movie in the big fight scene at the end, Sailor Pluto has incorrectly been given shoulder pads. Unlike the first Sailor Moon movie, this one is actually based on a story arc in the manga and surprisingly keeps very close it's it's source material. 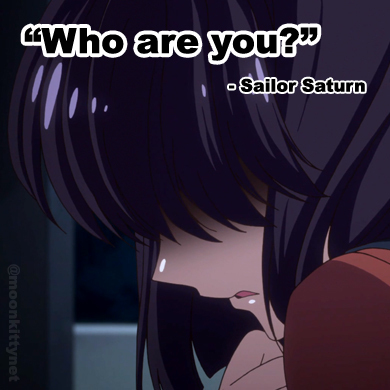 Due to certain plot elements in the film, placing it in the overall chronology of the series is rather difficult to pinpoint but when one takes into account Sailor Pluto and Super Sailor Moon's presence the film, the inclusion of the talisman weapons and the lack of Hotaru, the movie seems to takes place sometime after the events in The Purity Chalice but before the very next episode, Show Stoppers. 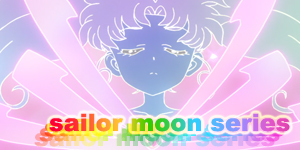 Many assume the movie occurs after the end of Sailor Moon S, but that's a logistic impossibility due to Sailor Pluto's fate at the end of the S season.